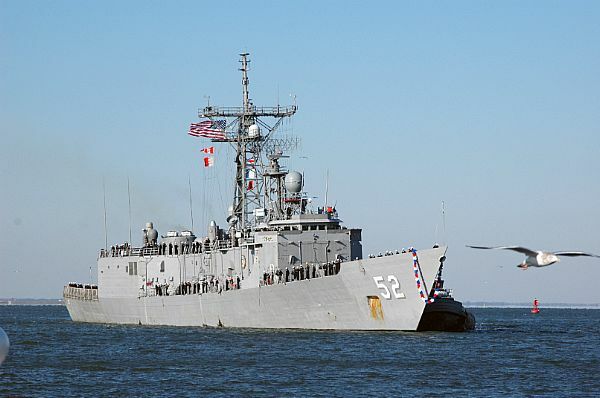 NORFOLK, Va. (Jan. 25, 2008) The guided-missile frigate USS Carr (FFG 52) returns to the pier on board Naval Station, Norfolk after a six-month deployment. 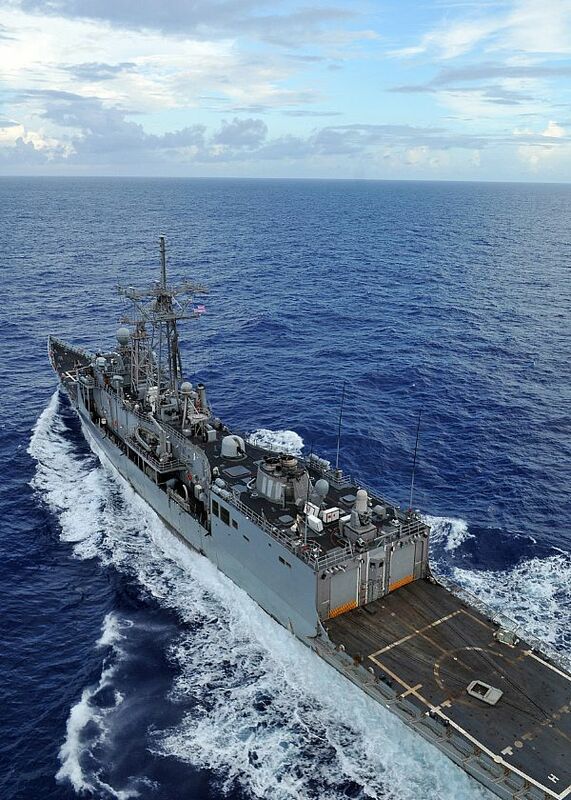 Carr was a part of the Kearsarge Expeditionary Strike Group deployed in supported of maritime security operations and theater security cooperation efforts in the U.S. 5th and 6th Fleet areas of responsibility. 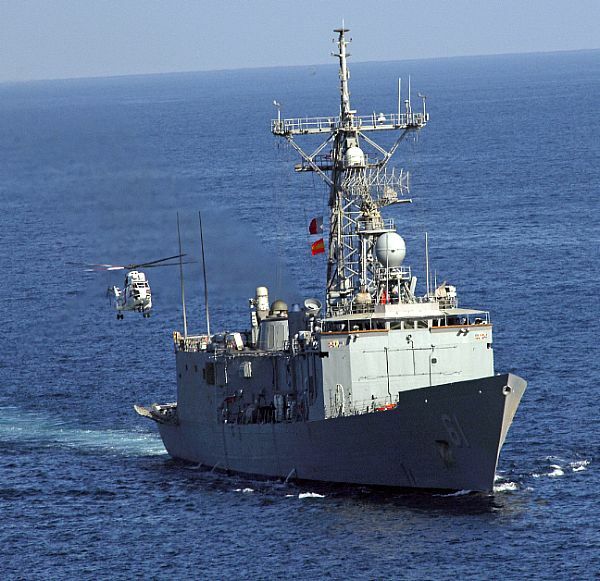 PERSIAN GULF (Feb. 7, 2008) An EH-96 Puma from the Military Sealift Command dry cargo/ammunition ship USNS Sacagawea (T-AKE 2) lands on the guided-missile frigate USS Ingraham (FFG 61) during a vertical replenishment. Ingraham is part of the Tarawa Expeditionary Strike Group which is deployed to the U.S. 5th Fleet area of responsibility. 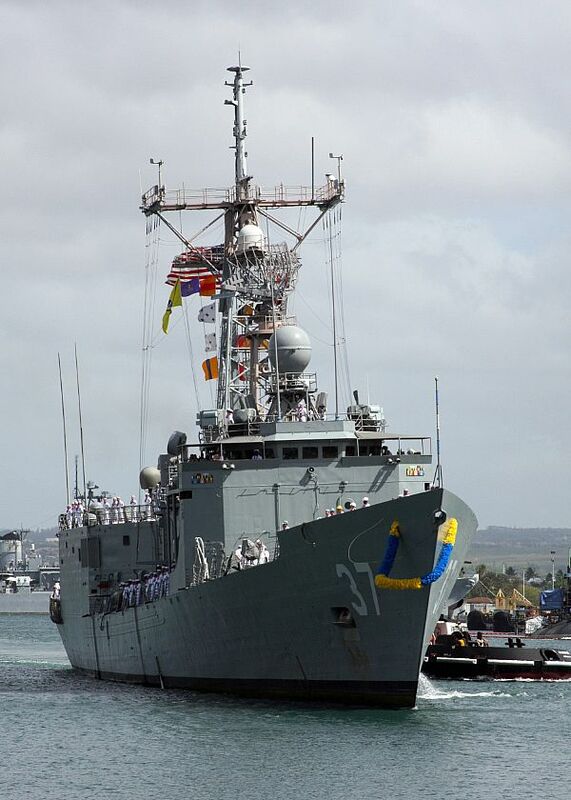 HARBOR, Hawaii (June 8, 2008) The guided-missile frigate USS Crommelin (FFG 37) returns from a six-month deployment to the Southern Command area of responsibility. PACIFIC OCEAN (Sept. 27, 2008) The Oliver Hazard Perry-class guided-missile frigate USS Curtz (FFG 38 ) is underway as part of the Abraham Lincoln Strike Group while transiting the Pacific Ocean. The Abraham Lincoln Strike Group is on a scheduled deployment in the U.S. 7th Fleet area of responsibility operating in the western Pacific and Indian oceans.